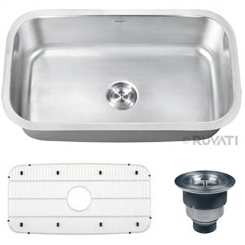 Parma Series Single Bowl Undermount Stainlesss Steel 32'' Kitchen Sink. 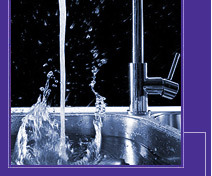 Parma Series Single Bowl Undermount Stainlesss Steel 32'' Kitchen Sink. Maintaining a classic look that will complement any kitchen with the beauty and functionality of large, deep bowls with classic rounded corners, the Parmi series is still streamlined enough to be the centerpiece of any countertop. Standard 3.5'' drain opening will fit any garbage disposal unit.